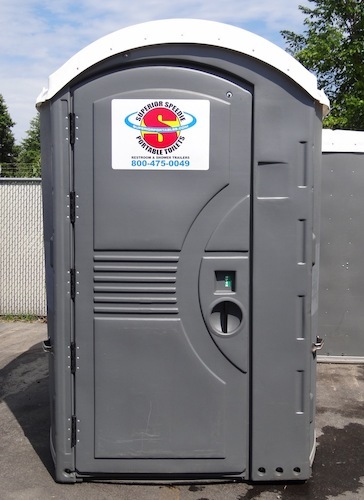 Superior Portables offers ramp-free, easy-to-move handicap accessible and ADA compliant porta potties to our Ohio and Kentucky customers. Both units are wheelchair accessible, easy-to-move and provide users with room to maneuver. No ramp access makes for an easy wheelchair entry and exit and the oversized bench and grab rails allow for easy transfer from wheelchair to restroom seat. The rotary latch indicator system is designed and positioned for simplicity and ease-of-use. 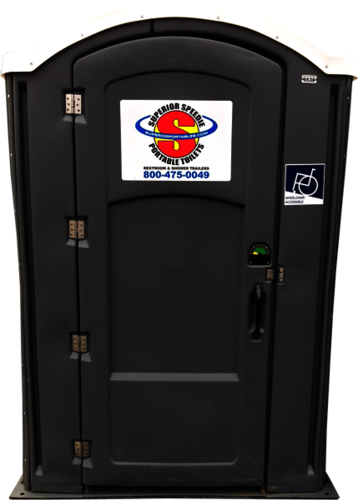 Our ADA compliant unit meets all strict ADA guidelines. Contact us to learn more about our handicap accessible portable toilets or chat with one of our agents during normal business hours by clicking the chat button to the right.